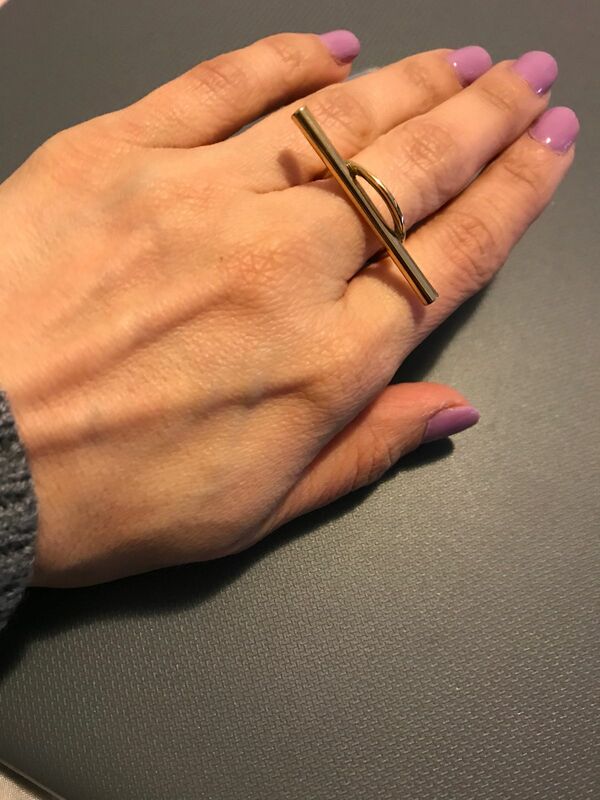 An imperfect oval and unique thin bar that extends across your fingers; your new statement ring. How to Wear: The band of the Trust Ring is not circular. Turn the ring sideways to slide on and off finger.